Forsman Oy was founded in 1916 and today has more than 100 years of experience in moving things, transportation and storage. 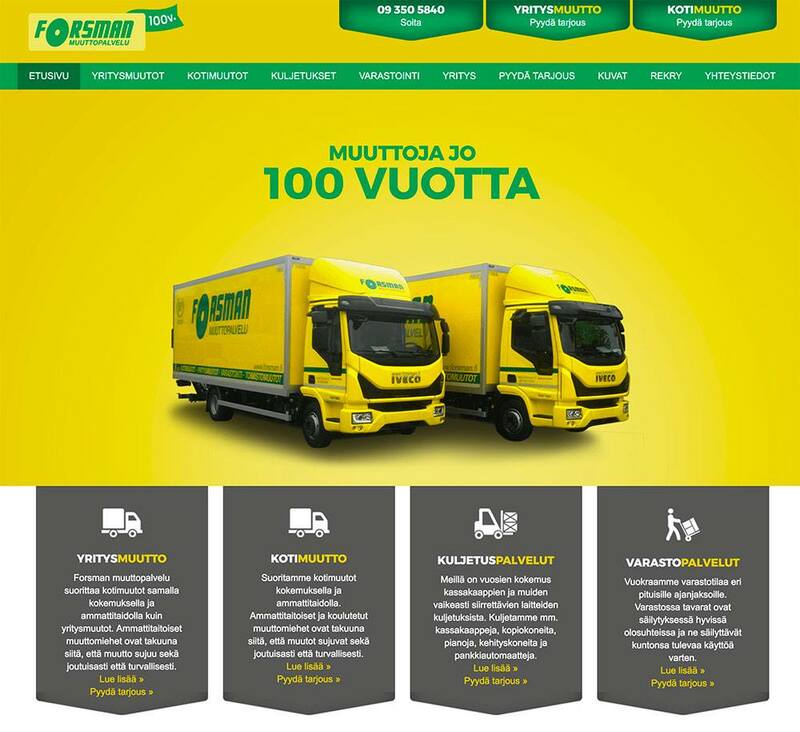 It is one of the oldest moving company in Finland. Designed by Hurry Oy and hosted by Molentum Oy.